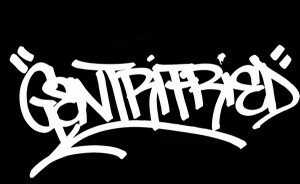 Armed with a camera, Gentrifried has been documenting the New Jersey Graffiti movement since 2009. 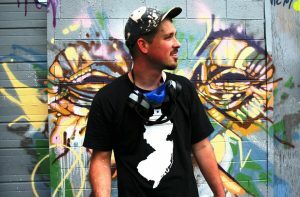 He is the director, co-creator of Jersey Burns a full feature graffiti documentary and editor of No Trespassing Magazine. His pictures and videos have been featured on websites such as Jersey Graf, Day in the Lyfe, What You Write and the Montanna 94 corporate website. Luv One is a street artist from New Jersey. Born in PA and raised in the Midwest, he has lived on the East Coast for most of his adult life. A graduate of SVA’s Illustration Department, and member of Albus Cavus and S.A.G.E. Artist Collectives. Luv One’s murals can be seen across New Jersey (Jersey City, Trenton, Flemington, and New Brunswick), also in Yonkers, NY, Philadelphia, PA, Washington, DC, and Chicago, IL. His art has been shown in numerous Galleries across the US, to mention a few the Micro Museum in Brooklyn, NY, Art Gallery Kafe in Chicago, IL, and Gallery 125 in Trenton, NJ.